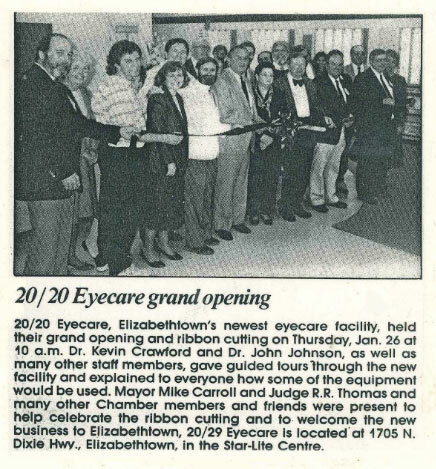 20/20 EyeCare was founded in 1988 by Dr. Kevin Crawford, Ben Jakubowicz, and Abe Jakubowicz with the goal of providing superior eye care in a relaxed, professional atmosphere. From Clarksville to Shepherdsville, every 20/20 EyeCare optometry office offers the same caring professional service and latest technology at affordable prices to our patients. Our team of expertly trained optometrists, opticians, and technicians focus on maintaining the health and development of your eyes with the most comprehensive eye exams on the market. 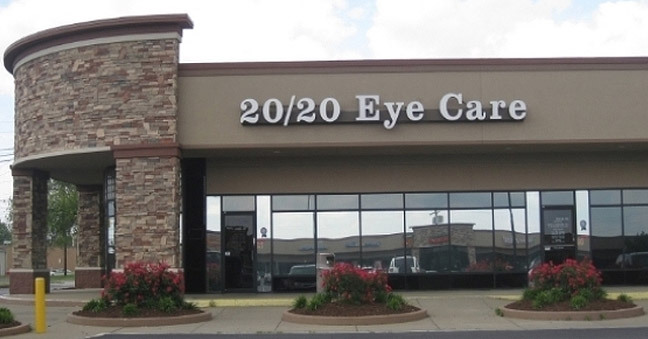 20/20 EyeCare provides a variety of other vision services, like diagnosing and treating eye injuries, eye infections, and eye diseases such as glaucoma, cataracts, macular degeneration and diabetic retinopathy. We also offer an extensive selection of ophthalmic and sunglass frames, as well as a wide variety of contact lenses for every need. We pride ourselves on our customer service and in helping our patients feel comfortable. Visit us and find out why our patients have returned year-after-year for over 30 years.